A little while ago I went to La petite Maison in Nice with some friends. It’s a restaurant situated in the heart of the old town in Nice and runned by the famous Nicole Rubi, a real “Niçoise” personality. This restaurant is an institution, and I’ve heard so much about it; a lot of positive things but also a lot of negative things especially regarding the service, so I’ve been wanting to come here for a long time to make my own opinion. And I have to say as soon as we arrived I was positively surprised. We got a very warm welcome from the owner herself, and the service was great throughout the whole lunch. And the food was truly amazing! Nothing too fancy, just rustic mediterranean well cooked food. 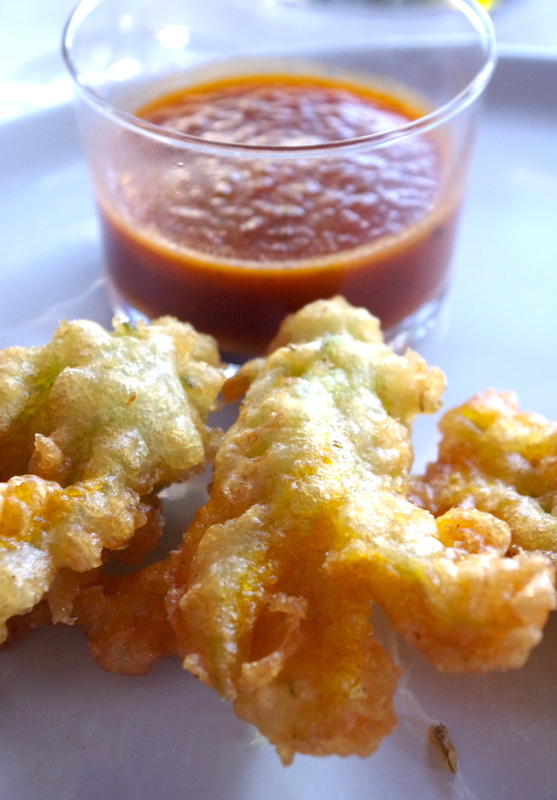 I ordered fried courgette flowers with tomato salsa which is one of my favourite starters! But I have to say, the best choice amongst the table was actually my fiancé’s fried chèvre with rosemary crème and toasted pine nuts. This was just amazing! 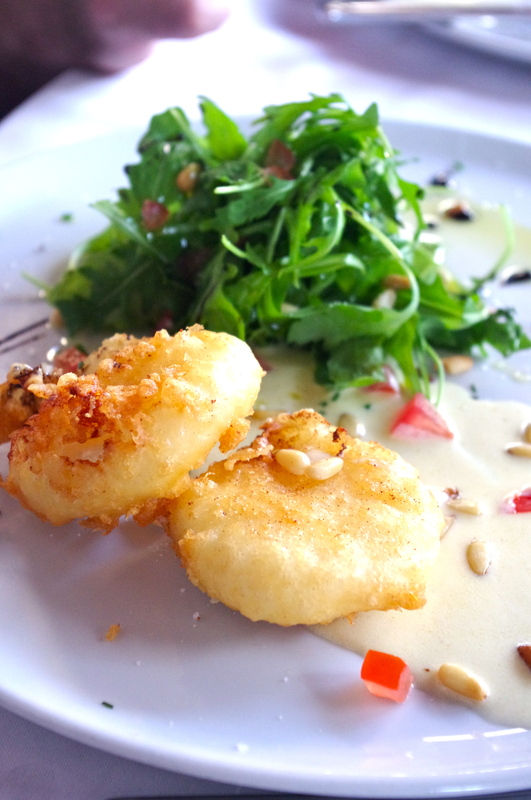 Light crispy warm chèvre with an incredible creamy rosemary sauce and toasted pine nuts with a little rocket salad, can’t get any better than that! 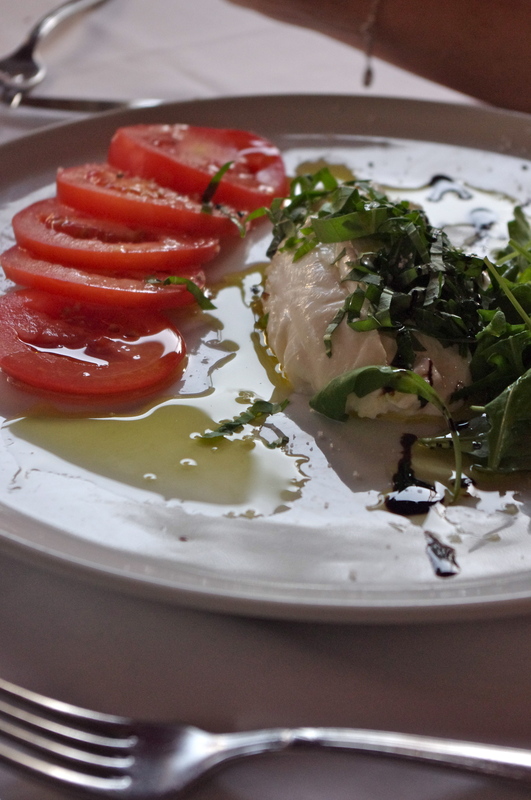 The burrata with tomato salad was really great aswell. 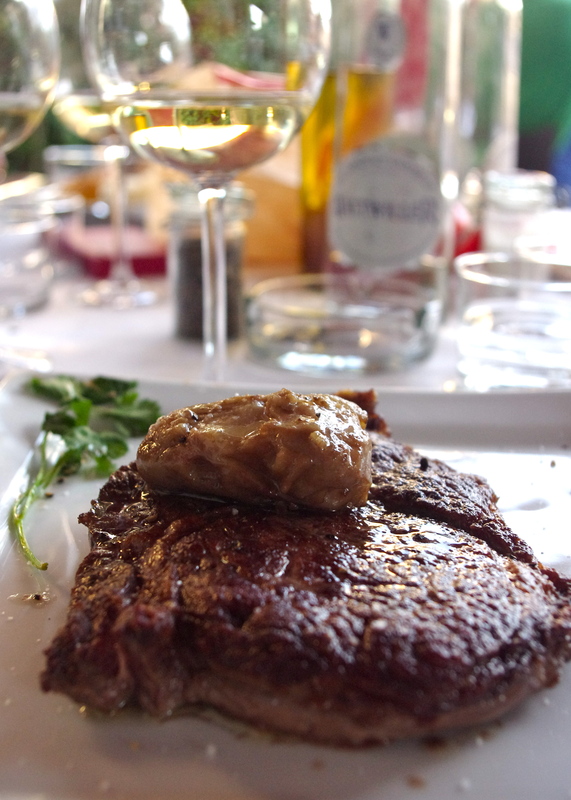 For main I ordered a huge piece of entrecôte with bone marrow and potato purée faite maison. The meat was cooked to perfection and incredibly tender. 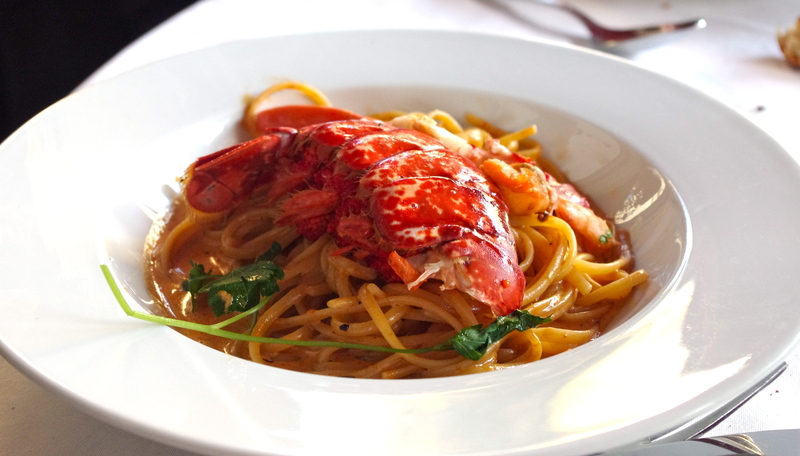 But again, I do think I have to say my fiancé yet again made the best choise with the lobster pasta. It was DIVINE! All with a couple of bottles of Pouilly Fumé. We’re definitely coming back here!